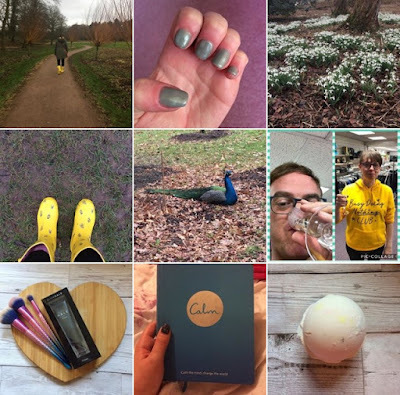 I first wrote about Fragile X Syndrome in February (I have since updated the posts) and ever since then my posts have over 700 views put together. I got asked to write in the monthly newsletter about my experiences that have happened to me and it was so good to be able to write for them. 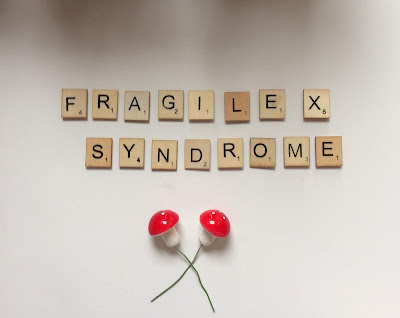 I hadn't really talked about it or even thought about writing about Fragile X in blog but now I'm glad I have because they're so popular,I can relate to others and I don't feel so alone. 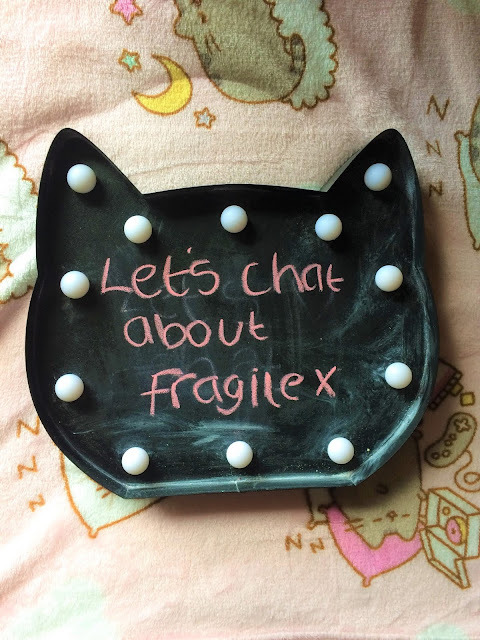 Fragile X effects everyone differently but with me I am shy, quite sensitive and I get upset easily and I am not very good at maths either but I don't let that bother me too much I know I'm not going to be good at it. There was this one situation at volunteering when a woman asked about a dress on a mannequin I said sorry I can't take it off and thought nothing of it and then she told her partner who then said why can't you take it off? it's just a dress he didn't understand that you have to take the whole mannequin apart and thought there arms moved liked humans but they're plastic so they don't move surely people know that!?! anyway he was getting more and more obnoxious and I was trying not to cry but after they left I did :( I know it wasn't worth it but he really got to me :( don't think they've been back since fingers crossed I don't see them anymore. I have become more confident since volunteering and made new friends which I am glad about but I want a job now and it's not easy looking for one and I know I can't give up because there's things I want to do such as learning to drive I hope to do that one day I know it will be hard but I won't let things stop me from doing it! I will find a job and I will be able to do these things because I want get somewhere in life and not be stuck here. Another thing I find uncomfortable is when I'm out for example waiting at for a bus I feel people are looking at me and talking about me which they probably aren't but I can't help it and always feel like that or people are going to say something mean to me :( and I used to feel uncomfortable in restaurants which I don't so much now but when my boyfriend took me to Jamie Oliver's Italian for my birthday last year I felt really uncomfortable and felt like I wasn't meant to be there and after we'd been I got upset about it and felt like I'd let him down =/ which I hadn't and we are still together but I still felt really bad about not liking it. We aren't together now thank god. There was another time when I was with this guy from London ( another ex boyfriend) I went to his house and I met his friend Shannah who was a girl but a 'friend' who he'd met on the same site as me doesn't sound so good now! anyway I literally became so quiet and just sat there and stared I'm not really sure why I guess I felt out of place and wanted to spend time with him alone but it never happened but that's in the past now though I thought I would mention it.